If my life were a reality show. 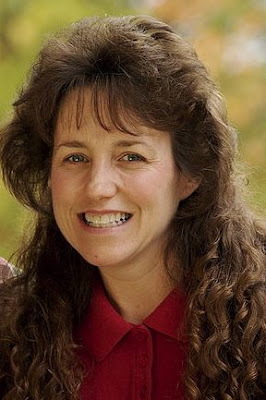 I am not Michelle Duggar. I wish I had her energy. Her peace in the midst of the chaos that 18 kids bring. Her hair... not so much. But I don't get how her kids are so GOOD! How can there be not a single naughty one in the bunch. Not even a teenager filled with drama and angst. perhaps it is written in their contract that the not so "perfect" moments are left miraculously out in post production. Makes me wonder. Am I too cynical? Is it possible to have 18 wonderfully obedient, loving and well behaved children? Because I work really hard and sometimes can't pull it off with three. Who lived across the street from me, before she was "Real". Actually it was when she was "Real". But that is another post in itself. I would let them show my kids being crazy. My house being messy. The imperfections. Just as long as my hair is smooth, shiny and straight. I am a simple girl. i often wonder the same things... if you had a show, i would watch! Haha...was she as crazy then as she is on that show? Oh how I wish you would give us the details on Tamra! But you are too nice. And yes,the amount of Botox she uses scares me. Ha Ha Ha!!! Maybe if your preschoolers were cooking breakfast like the Duggers, they wouldn't have time to get into trouble. You are too nice for reality tv! Tamra, really? I am sure they portray here all wrong on TV. You know editing can make a person seem different right? On another note, Great job with all the Cora Paige sales you have. I have no idea where you find the time. I made one doll, it sold in less than 2 hours (praise God) but I wish I had the time to make 5 or 6 more. Oh Julie! You are too, too funny!! I would SO watch your show! Maybe you could do a different craft every week or something fun like that?! Ah! I am watching those "real" housewives right now! Weird! Did you really know Tamra?! You need to fill me in on that juicy scoop!! Seriously! Email me or something! Also - I KNOW those Duggers have some craziness going on...they have to! 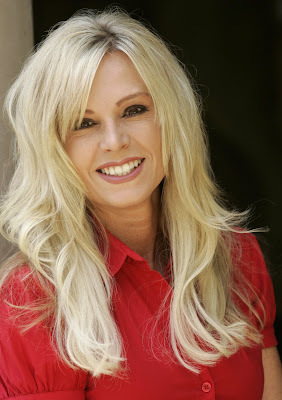 If you were on a reality show, your "Lauren braid" would be perfect and your hair would have to be shiny! Why is no one interested in Real Housewives of Colorado?! you are hilarious! Did Tamara really live across the street from you? Duggers= she is THE calmest mom I have ever seen. Her show kind of bugs me a little...her son never kissed his fiance???? I would watch your show if you ever had one!! I'm a REAL housewife in the OC... and I just love it when the new girl says she is a "typical housewife in the OC". NOT. Our lives are not perfect.. but reality shows make for great entertainment! I LOVE Tamra!!! Did she really live across the street from you??? so jealous! And no way are the Duggers thst good! sorry!!! I'm pretty sure the Dugars are all brain washed. My husband can't handle that show. He'll put up with me watching the OC Housewives and even the NY Housewives, but not the Dugars. Hahahahahaha!!!!!!! That is so funny!! Yeah, those Duggars give the rest of us a bad name. My kids are like monkeys on crack. I also want the scoop on Tamra! Isn't it a small world. Tim's nephew plays baseball with Jeana's son Colton. I am ashamed to say I am addicted to that show. Oh, and sign me up for anything that comes with a stylist and a flat iron. I am so proud of you and the Cora Playground movement. I love to check it and see all of the sales. I got the bracelet that I ordered it and I love to tell people the story. Haha!! As soon as I started reading this I thought of her hair. Please, won't someone give this woman a makeover?! She's a great lady with some seriously bad hair.